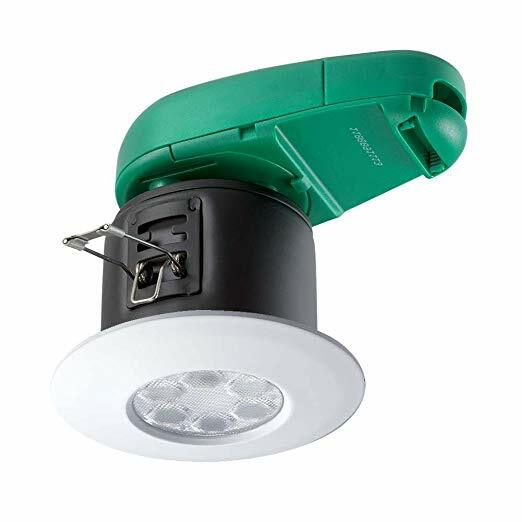 FGLED6 is a family of precision engineered, high-quality downlights with ultra-low 6W energy usage and a durable steel and aluminium construction. Unlike many lamps installed into fire-rated fittings, FGLED6 products are fully integrated and have been fully fire tested for 30, 60 & 90 minute ceilings. The FGLED6's are a direct replacement for the FGLED7's, giving the same lumen output a reduced energy cost of only 6 watts.